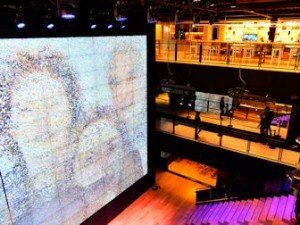 The Samsung Store in New York, called Samsung 837, can be found in the Meatpacking District. Visit this store if you’re a fan of the latest technology and digital gadgets. Samsung 837 isn’t just a store, it’s a pioneer in technology and innovation. There are three floors where you can find a theatre, an art gallery, a three stories larger-than-life screen, a multimedia studio, a mobile kitchen and a café. Everything has an innovative and smart touch. And of course, there’s also a support station where you can ask any questions you might have about your devices. 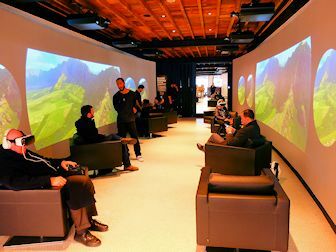 The store is located in a beautiful, modern building and hosts screenings and live-stream events such as the Oscars, sports games and concerts. You can also take a ride on a virtual reality rollercoaster using a VR headset, display your favourite selfie on the huge screen or have a look at all your Instagram pictures in a special tunnel with mirrored floor and ceiling. Eric’s Tip: Although I’m not a huge Samsung fan, I do think this store is worth a visit. 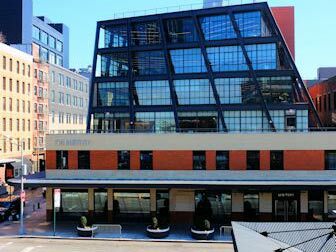 It’s not your typical store, but a fun place to visit while discovering the Meatpacking District. If you’re going for a walk at the High Line Park, head to Samsung 837 for a quick toilet break, a sandwich and of course, to check your email.